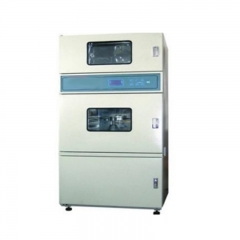 Buy Martindale GT-C13 For Testing The Abrasion And Pilling,suppliers,manufacturers,factories-Gester. 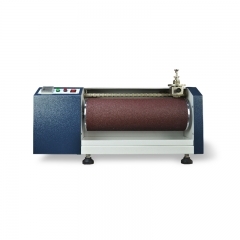 The Martindale Abrasion and Pilling Tester is the standard method of determining the wear resistance of textiles or leather and the resistance to pilling. 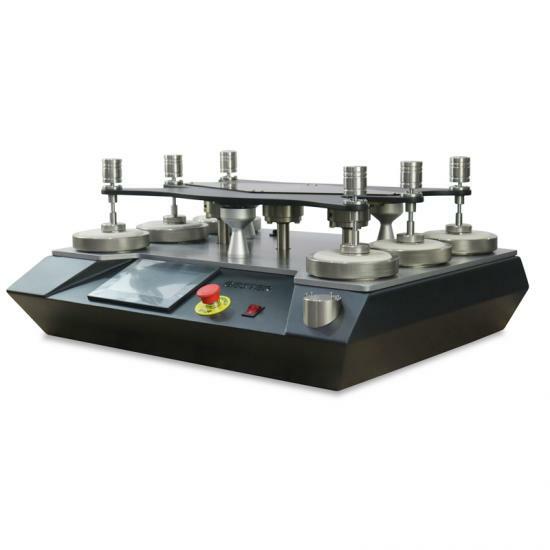 Samples are rubbed against known abradents at low pressures and in continuously changing directions and the amount of abrasion or pilling is compared against standard parameters. 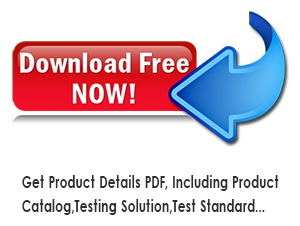 Adaptable to test a wide range of applications including textiles, socks, leather, coated upholstery, carpets, wood and shirt collars. 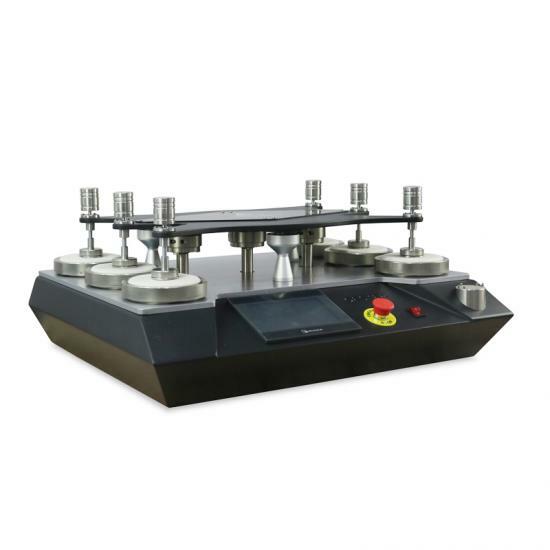 Four models are available, with 4, 6, 8 and 9 Abrading Tables respectively. 2.Working positions: 4, 6, 8, 9 optional. 3.Counting Method: 1) count up. 2) count down. 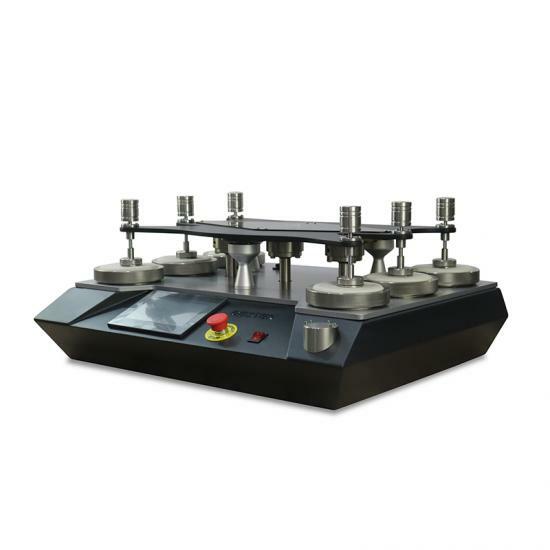 4.The unique design allows removal of individual sample holders 5.for examination without lifting the top motion plate. 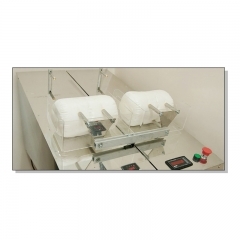 6.Standard sample holders with 9 and 12kpa weights included. 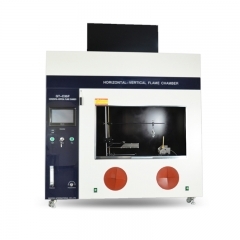 7.PLC, 7 inches color touch screen, Chinese and English operation interface. 8.Weights and key components are made up by 316 stainless steel 9.which is well-formed and durable in use. 10. 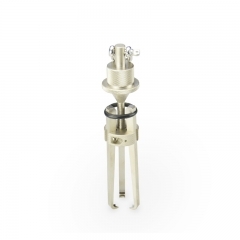 To prevent distortion, the top motion plate was special made up by 316 aluminum alloy. 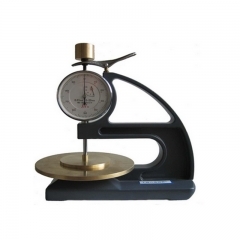 This thickness gauge used for measure kinds of non-woven which thickness less than 20mm. 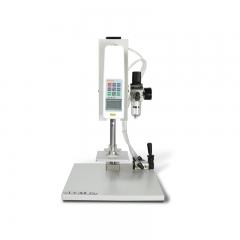 This Downproof Tester is used for down and/ or feather penetration through the primary tick fabric of a specimen containing feather and/or down filling. 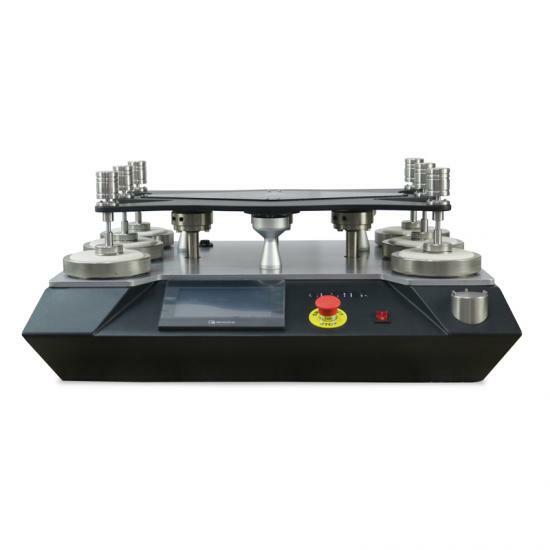 Digital Pneumatic Stiffness Tester is used to determine fabric stiffness using the ASTM circular bend test method.